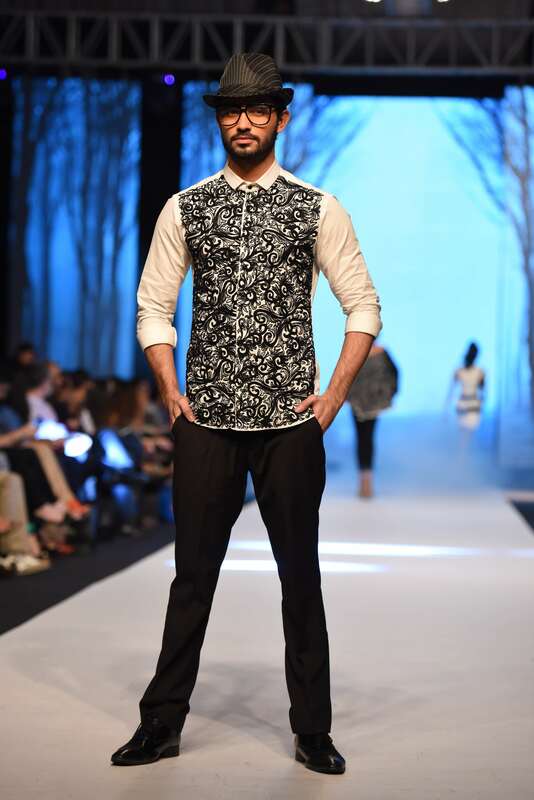 Fashion Pakistan Week Autumn/Winter 2014 edition just came to a fabulous end. It was probably one of the most refined and polished fashion showcase of bi-annual event yet with all designers bringing their A-game. Best part of the fashion Week was the volume of menswear showcases which keep on increasing with every edition. 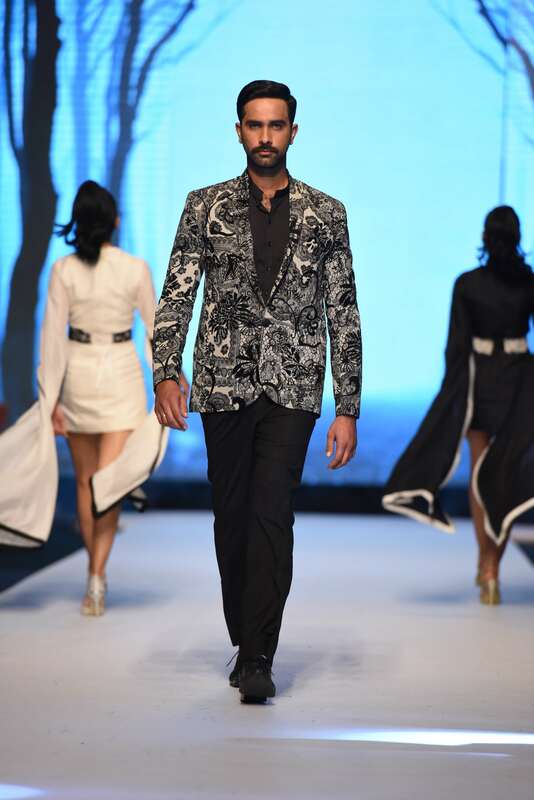 This edition featured menswear pieces from not only the regulars like Deepak & Fahad but saw the return of veterans like Deepak Perwani who showed an exclusive menswear collection. Here is a compilation of 10 best menswear looks that walked down the runway. 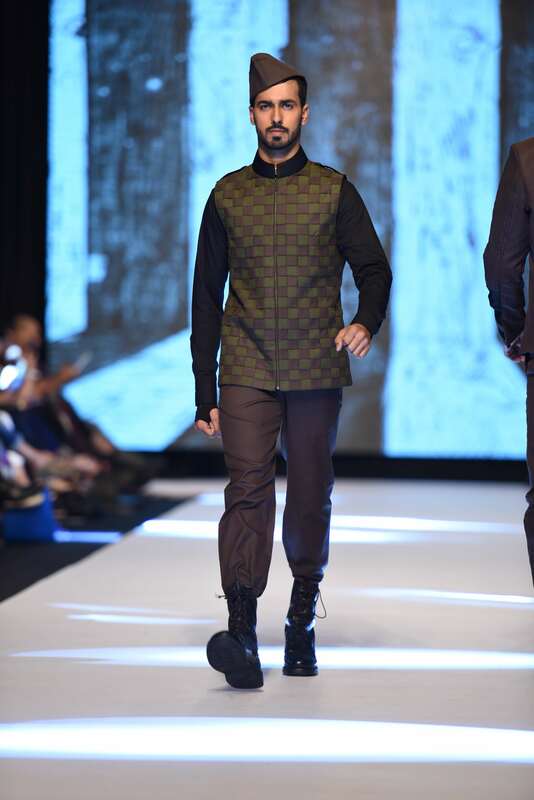 Emraan Rajput’s collection consisted mainly of minimalist, neutral attires but the olive/military pieces were the best of the lot. This weaved olive green peacoat with contrasting sleeves was one of the best looks to walk down the runway. It’s wearable and unique. 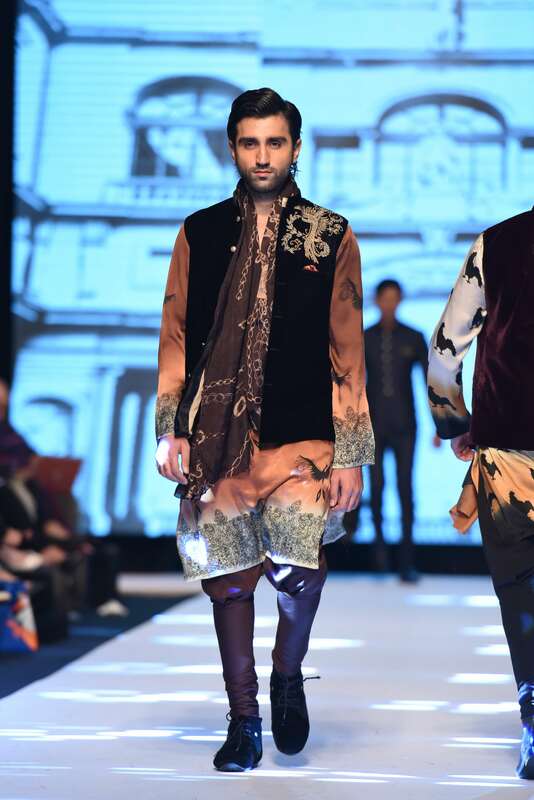 Deepak Perwani had plenty of wow moments and this printed kurta with jodhpur pants and velvet waistcoat was one of my favourites. It’s such a beautiful ode to subcontinental culture with a very interesting ‘malang’ touch. This patterned leather jacket is not only season appropriate but it’s incredibly dashing as well. Quite a fit for a formal evening out. Another fantastic piece by Deepak & Fahad. Monochrome elements of their collection were really interesting.I just love the play of embroidery on this shirt, such a collectible item. 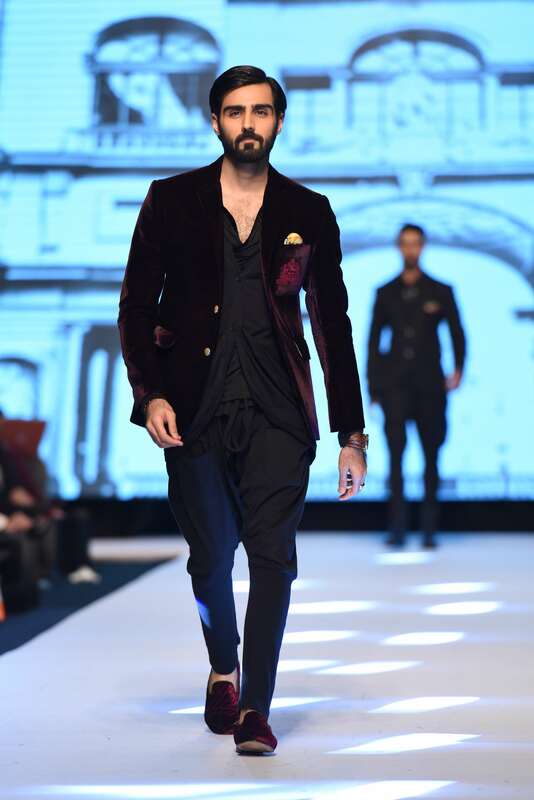 Deepak & Fahad feature prominently in this list and this jacket is testament to brilliance of their collection. The way they have managed to make it a statement piece using embroidery without making it look onerous is simply fantastic. Another Deepak Perwani gem. Velvet sports jacket on an all black ensemble, loving the gold emblem and the pocket square that goes with it. 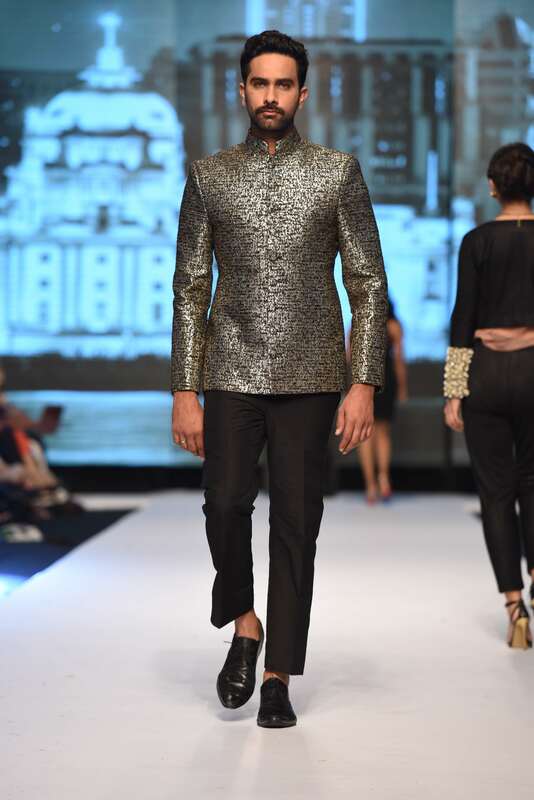 Faraz Manan’s collection featured metallics in profusion. Weight of the rich texture is so perfectly balanced with the simply construction of this bandhgala. 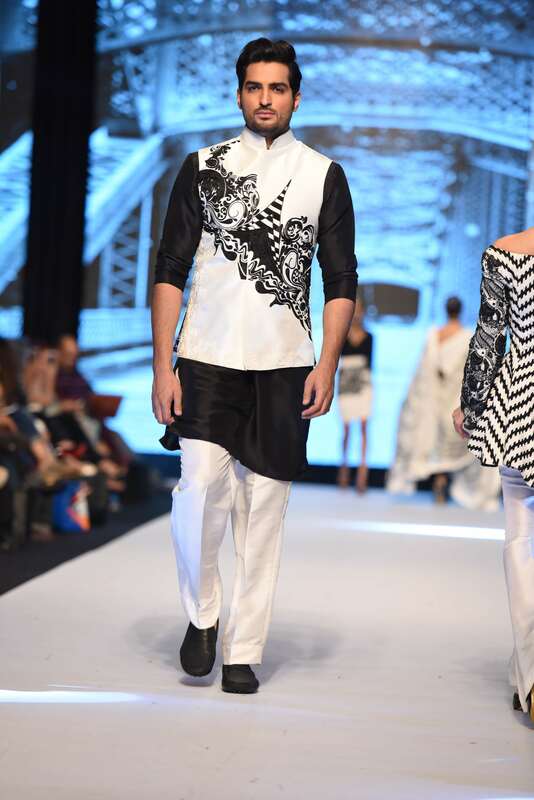 One of the best eastern wear pieces that walked the ramp. It is such a brilliant take on the conventional waistcoat. trust Adnan Pardesy to reinvent the waistcoat using texture when rest of the designers are still playing with colour and fabric. Another stroke of genious by Deepak Perwani. 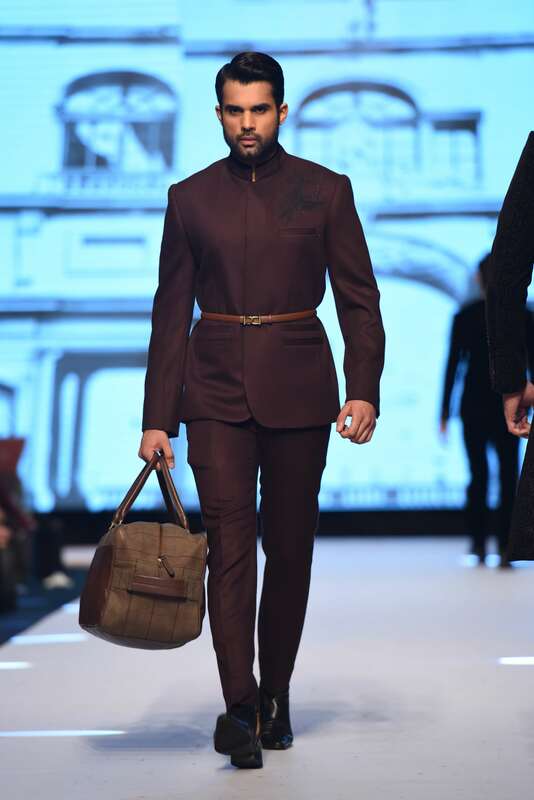 Fit of the pants, burgundy colour and the tan belt; it all comes together to make a fabulous ensemble. Deepak Perwani’s finale moment trumps the rest. 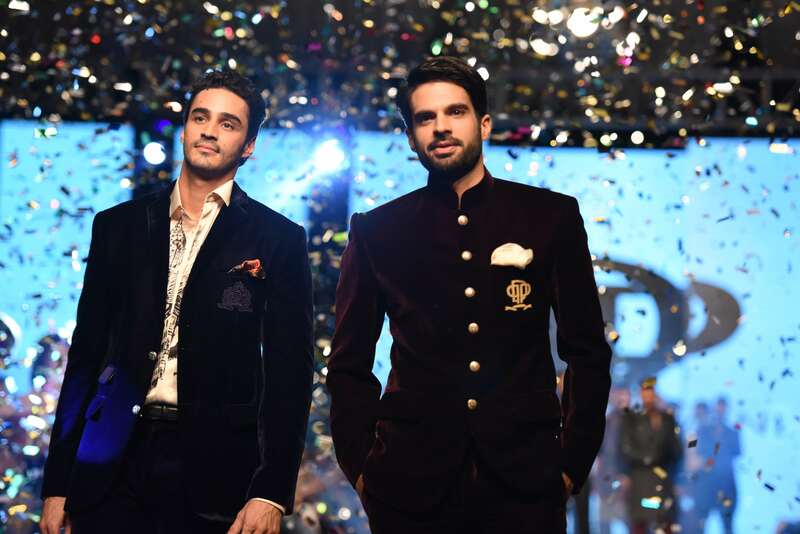 Two smart, young gentle men who are not only two of the best looking men around but the best-dressed as well as showstoppers was a perfect closure to a collection like that. FOR MORE UPDATES, FOLLOW STYLE SUPPLEMENT ON FACEBOOK.